In this sketchup video tutorial, Justin Geis, briefly explains the utility of 2d tools plugin developed by TIG. This plugin can be used to model in 2d dimension easily. The plugin is mainly created to provide you a series of tools which have similarity to those available in other CAD packages to facilitate you drawing in two dimensions. To set a Z plane, lock your height above ground for the tools utilized by you. It can also set your plane corresponding to an existing plane. As for instance Type +24 to set a new plane 24 inches above the plane that is already active or type -24 to set a plane 24 inches underneath the plane that is already active. It can also be set to generate both lines and guide lines by clicking on the control key. Besides, one can generate lines as welded sets or separate lines by clicking on the alt key. You can set your z-plane within this tool by clicking on the tab key. For online demonstration go through the following video. 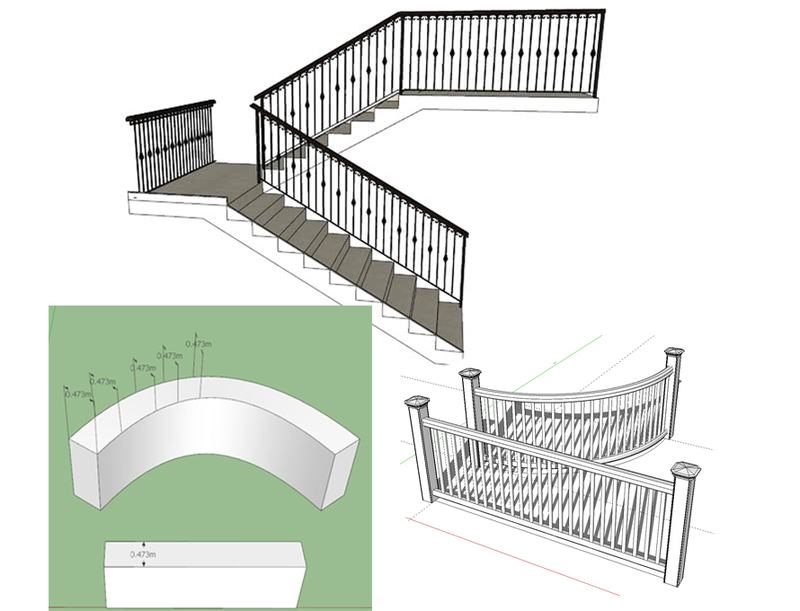 In this sketchup tutorial, one can learn how to design the stairs with sketchup and render with v-ray 3.4. In sketchup, it is possible to apply components for generating repeating shapes. These components can be utilized to develop a staircase instantly without any trouble. Sketchup can also multiply objects. One can select an object that contains repetitive values like a staircase and obtain the number of copies computed through sketchup. Watch the following video tutorial to learn the step-by-step processes. Natale Zappia has developed nz_Descendants. This is the newest sketchup plugin that is compatible with SketchUp 2016, SketchUp 2017, SketchUp 2018. The plugin can be used for diverse industries like Architecture, Construction, Engineering, Film & Stage, Heavy Civil, Interior Design, Kitchen & Bath, Landscape Architecture, Urban Planning, wood working etc. The plugin has same functionality like PushPull tool in sketchup. With this plugin, the users will be able to extrude various faces to a distantly selected reference length. It produces the consequential shapes into an independent group keeping the original face/object as it is. This plugin can function on several faces instantly. The plugin saves huge time and allows for modelling in a non-destructive way. This convenience makes it possible for generating similitudes and modelling in a non-destructive fashion if applied with Sketchup: SolidTools. By re-applying accessible dimensions, it is possible to generate self-similar objects which at the same time as not fractals yet sustain a subliminal sense of unity to enhance a project. If this plugin is utilized along with Sketchup: Solid Tools, the users can model maintaining their original source objects intact. Once related elements are produced, reunite or manipulated them with Sketchup:SolidTool and still sustain your original sources if it is necessary. It is mostly effective while dealing with joinery, or any situation where a surface can become an interrelated element. Apply nz_Desendants to generate the subsequent/adjacent element easily.